PACE Center for Girls Lee County is pleased to announce this year’s Love That Dress! 6 (LTD!6) Event Chair and Committee. Kendra Sutton, a Strategic Marketing Consultant with WINK-TV, who serves on the Board of Directors for PACE Center for Girls Lee County, returns as Chair for Love That Dress! 6. Sutton chaired last year and under her guidance, the Committee raised the most money ever for this event. As chair again this year, Sutton looks forward to another record-breaking year. Joining Sutton as LTD! 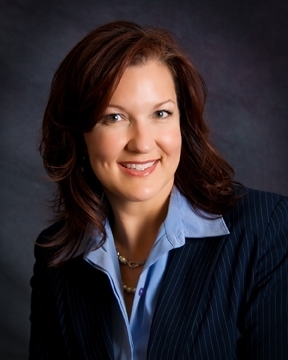 6 Co-Chair is Jennifer Nelson of Goodwill who handles Retail and Logistics. Allie Ross, Dress Collection Chair, is heading up the multitude of Dress Collection Parties that take place prior to the big event. Other Committee Chairs are: Margo Brewster of First Bank serving as the Silent Auction and Donations Chair, Shelly Starner-Pritt, Assistant GM at Miromar Outlets is serving as the VIP Suites and Vendor Chair, and Jonathan Gabel of Priority Payments South Florida as the Check Out Logistics Chair. Joining the team are the volunteer committee members: Jenn Phenninger of Embassy Suites-Estero and Host Hotel of the event (venue and logistics), Ingrid Molina of Fuller Online Solutions (Constant Contact and Paypal), Stephanie Davis of The Florida Weekly and 96.9 More FM (social media, radio and editorial), Connie Ramos-Williams and Angeli Chin of CONRIC PR & Marketing | Publishing (press releases and promotions), and Gina Birch of WINK-TV (social media, TV and event editorials). Sutton and her committee will serve to lead all fundraising efforts, dress collection parties, and the planning and execution of Love That Dress! 6. This is one of the organization’s biggest fundraisers, now celebrating its 6th anniversary. All dresses collected will be included in the Love That Dress! 6 event held on August 27th from 6-9 p.m. at Embassy Suites in Estero. For the fifth year, White House Black Market is the Title Sponsor. It is one of the most anticipated shopping events of the year with thousands of new and gently loved dresses, handbags and shoes on sale to the public at incredibly low prices. “Guests are really going to have fun and see many new additions to the event this year. It is definitely a do not miss event of the year!” says Sutton. Tickets go on sale August 1st. All proceeds stay in our local community and benefit PACE Center for Girls Lee County. “I am honored to work with such dedicated, hard-working men and women who give their hearts, time and talents to this huge endeavor,” states Kendra Sutton.